ASUS at IFA formally introduced its 14-inch ZenBook Pro UX480 laptop featuring the company’s ScreenPad, a touchpad with a built-in display. 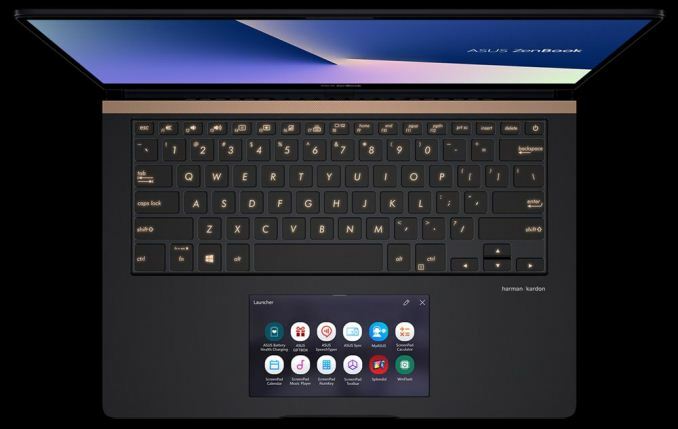 The notebook was demonstrated back in early June at Computex, but ASUS never disclosed its specs nor an availability timeframe. As it appears, the mobile PC is powered by Intel’s latest Whiskey Lake-U processor accompanied by NVIDIA’s GeForce GTX dGPU. ASUS intends to start selling the product sometimes in late October. 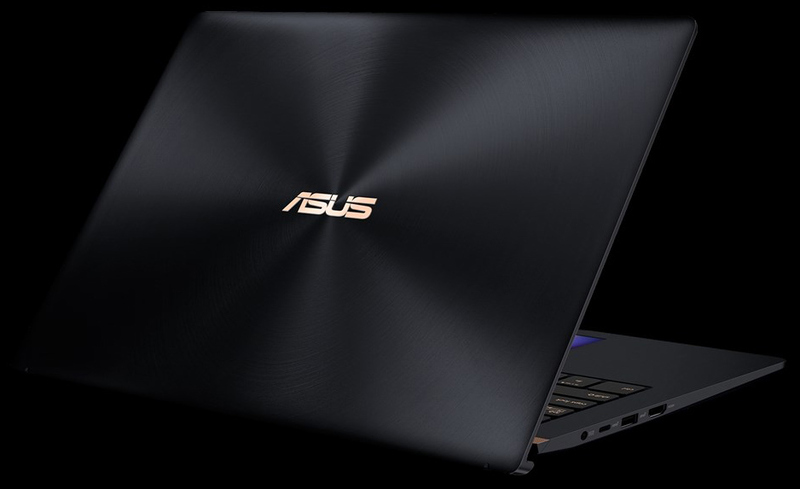 The ZenBook Pro is a relatively new lineup in ASUS’ product range that is aimed at users demanding performance, portability, and style. 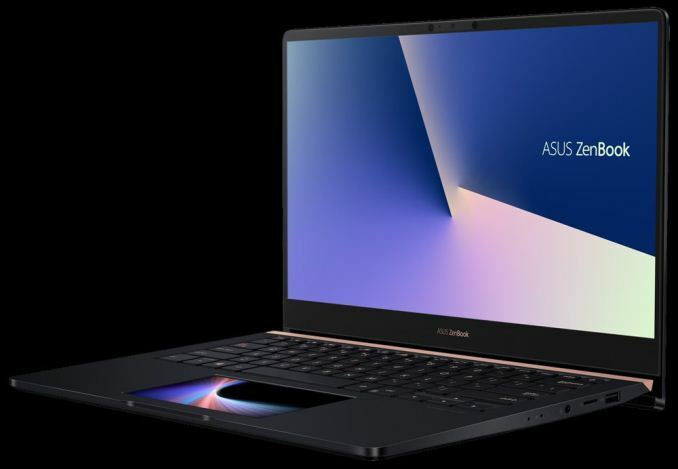 Initially, ASUS introduced 15.6-inch versions of its ZenBook Pro laptops, but with the ZenBook Pro 14 UX480 it is adding 14-inch models into the family. Since the system is smaller, ASUS has to use components with a lower TDP, and possibly reduce the count of components in general. This however does not mean that the new system has to make compromises in terms of performance or key features. 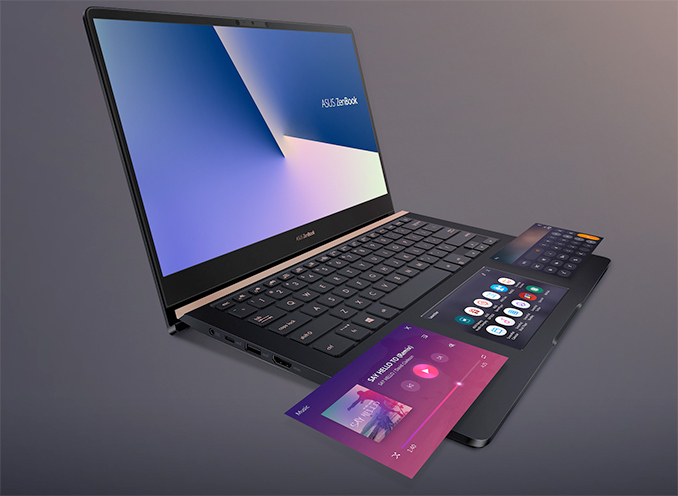 The ZenBook Pro 14 comes with Intel’s quad-core Core i5/i7 (Whiskey Lake-U) processor, NVIDIA’s discrete GeForce GTX 1050 GPU with Max-Q software, as well as ASUS’ 5.5-inch ScreenPad that can simplify usage of certain programs or even act like a second screen for applications that support it. At least initially, ASUS will offer its ZenBook Pro 14 with a Full-HD multi-touch display that supports 100% of the sRGB color gamut, and is factory-calibrated to DeltaE accuracy of < 3. 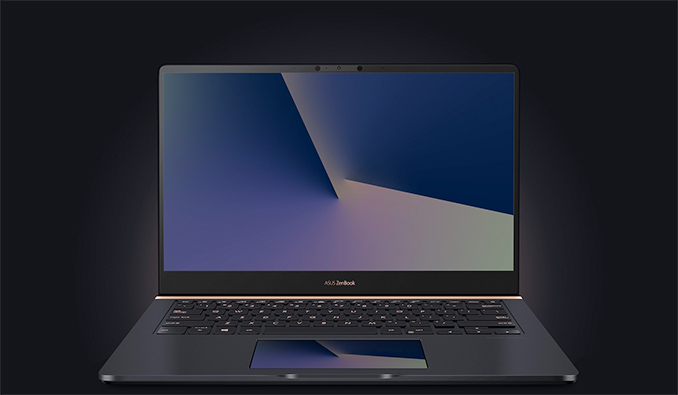 "The I/O capabilities of the ZenBook Pro 14 resemble those of higher-end ZenBook Pro 15 models, though the smaller PC lacks Thunderbolt 3." Looks more useful than Apple's touchbar. I wonder how they implemented this. More likely, it will appear as a second display in Windows. Yup... The Touchbar is one of those ideas that sound great in a presentation, but IRL use is pretty meh. Like Face ID.